Fresh insights into how viruses infect bacteria could provide the basis for a new way to tackle antimicrobial resistance (AMR). New research published this week in PNAS reveals how T7 phage – a virus that targets and infects most strains of E. coli – deploys two key proteins that enable it to take hold of bacteria’s essential cellular machinery. Significantly, the findings reveal that the previously unexplored protein Gp5.7 is responsible for hijacking forms of a crucial enzyme in E. coli that allow the bacterium to grow and develop resilience in response to changes in its environment. This new insight into how a phage is optimised to kill bacteria could be used as the foundation for engineering synthetic viruses, capable of combatting many different kinds of drug-resistant infections. 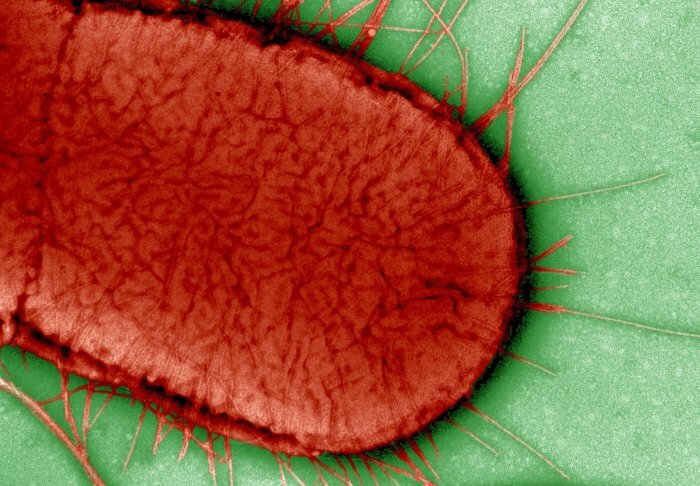 The study, funded by the Wellcome Trust and led by a multidisciplinary team at the MRC Centre for Molecular Bacteriology and Infection (CMBI), follows a previous investigation that revealed how T7 used proteins in a two-pronged attack against E. coli. Here, researchers discovered that the T7 phage uses the proteins Gp2 and Gp5.7 to zone in on the bacteria’s gene expression machinery (RNA polymerase, or RNAP). This discovery, however, raised an important question: why would a virus develop two proteins to do the same job? With the role of the first protein, Gp2, already well established, the team set about pinpointing the function performed by the lesser-explored Gp5.7. 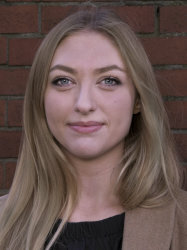 They discovered that while both Gp2 and Gp5.7 inhibit the RNAP responsible for expressing E. coli’s ‘housekeeping’ genes – the key genetic elements that allow a bacterium to function normally – Gp5.7 performs an additional biological role in attacking the form of RNAP essential to stress resistance, adaptation and virulence gene expression. As a consequence, the E. coli bacterium becomes unable to face up to new challenges in its environment. Above: The left-hand Petri dish shows how wild-type T7 phage kills E. coli; on the right mutant T7 phage without Gp5.7 is unable to effectively kill E. coli. 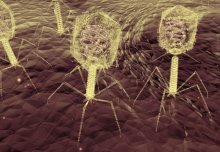 Equipped with an improved understanding of how viruses such as T7 phage infect their prey, the team behind the study are now looking to develop synthetic phages capable of tackling a broad range of bacteria. “From our work over the past several years, we’ve uncovered different kinds of toxic cargo in viruses. The difficulty is in finding a way to deliver them into bacteria in order to treat infections,” comments Professor Wigneshweraraj. “Our proposed approach overcomes this limitation by taking toxic cargoes from several different phages, putting them into a synthetic chassis, and engineering it so that it can infect many different kinds of bacteria,” adds Professor Wigneshweraraj. Antimicrobial resistance – a microorganism’s ability to stop an antimicrobial working against it – has become an increasingly serious global health issue in recent years. The rise of superbugs has been accelerated by the misuse and overuse of antimicrobial treatments, resulting in the spread of drug-resistant strains of many common infections. In 2016, just under half a million people developed multi-drug resistant tuberculosis, and there is evidence that AMR is beginning to have a serious impact on how other conditions (such as malaria, HIV and influenza) are treated too. In 2015, WHO member states backed a global action plan to tackle AMR, a key objective of which is to increase investments in new medicines and treatment. Consequently, research institutes, centres and networks around the world – including Imperial College’s Antimicrobial Research Collaborative (ARC) – are now working urgently to identify innovative new strategies and treatments to tackle drug-resistant superbugs. A key part of the fight against AMR lies in the field of molecular bacteriology. There is a need to better understand the changes that make bacteria resistant, and to map bacterial cellular processes in such a way that new treatment targets can be identified. By providing a vital part of the puzzle to understanding the specific strategies phages use when attacking bacteria, these newly-published insights into T7 phage could have applications that extend far beyond E. coli. ‘T7 phage factor required for managing RpoS in Escherichia coli’ by Aline Tabib-Salazar & Bing Lui, et al, is published in Proceedings of the National Academy of Sciences of the United States of America. Image credit: 'Bacteriophage, TEM' and 'Electron micrograph of Escherichia coli, close-up' by David Gregory & Debbie Marshall.